I have heard that investing in stock market is risky and it is like gambling? Are you now into gambling Dexter? 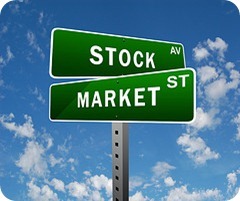 Well this is my answer, Stock market has two kinds, one is investing and other is trading. When you say trading, it is almost equal to gambling since, what you bought today might be sold out before the market close or could be sold by tomorrow. It is good if the market goes up, but what if the market goes down it is a sure lost. Trading is also buying speculative stocks, which means that a trader is buying a stock which does not have any history or anything to prove as a company. They just buy because of rumors that it will be high tomorrow. I must confess that when I started stock market, I did the same because I do not know the difference of investing and trading. I do not have any mentor and I just visit some blogs and forums for information. I have not even read any book to learn first before going to stock, but as what the saying goes experience is the best teacher. Investing is buying stocks with good market reputation, they are usually called blue chips stocks. After buying, investors tend to let their money grow for some time. It might be 1 year, 2 years, 10 years or more. If you know Warren Buffet, this is the system that he is using. He study the market buy the sticks and forget about it and he let it appreciate from time to time. Investors also earn in two ways, one is price appreciation and the other is through dividend. There are time also that investors will buy stocks and wait for his Target Price before selling his shares. So is it Risky to Invest in Stock Market? Actually in reality there is no safe investment. Investment will tend to gain or lost. As an investor you need to be financially literate to know what you shall behave in good times or bad times. If you cannot watch how the market moves, it would be better to go to Mutual Fund (less risk) or Equity Fund (high risk), where there is fund manager who can watch over the movement of your money. I have heard that Mutual fund performs well last year which have 30+% interest. Of course nobody knows if it will still be the same this year. Your risk appetite will definitely determine your gain. Less risk – less gain and the higher the risk – the higher the gain. I myself have 17.78% gain last year. So how much do I need to start to Invest in Stock Market? So how did you enroll in COLFINANCIAL? I have filled up their application form, then scan the documents and send it to Colfinancial for checking and after they have checked my details they told me to send the original documents to their Ortigas Office. After they have received the documents they send me my login details and the bank reference that I will use to start investing in the stock market. There are still lots of Q&A that I have responded yesterday and I think I can make the other conversation in future post. So keep on sending question though the comment section so that we would be able to respond to your question. If I can’t answer the question I will try to ask some of friends to respond for us. Make Sure to provide us your email as shown in the side bar for you to be updated on our post. Interesting! You got me into this. Gona check the link. 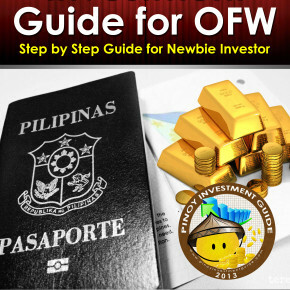 Learn more about investing in the Philippine stock market! 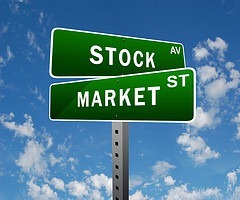 Visit pseacademy.com.ph for more materials to help you improve your knowledge and understanding on stock market investing.